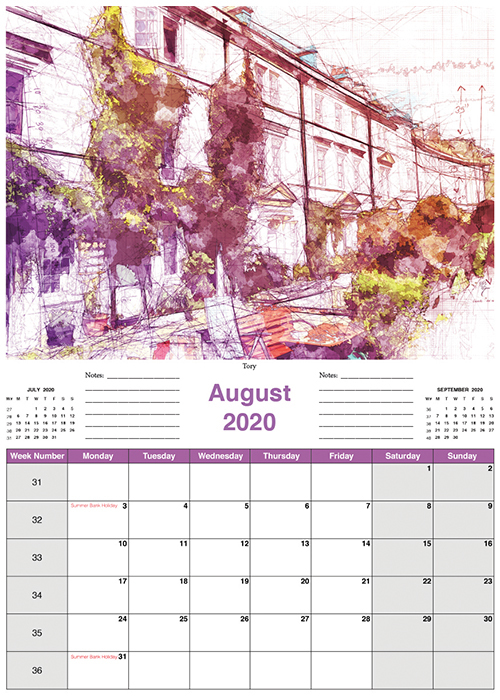 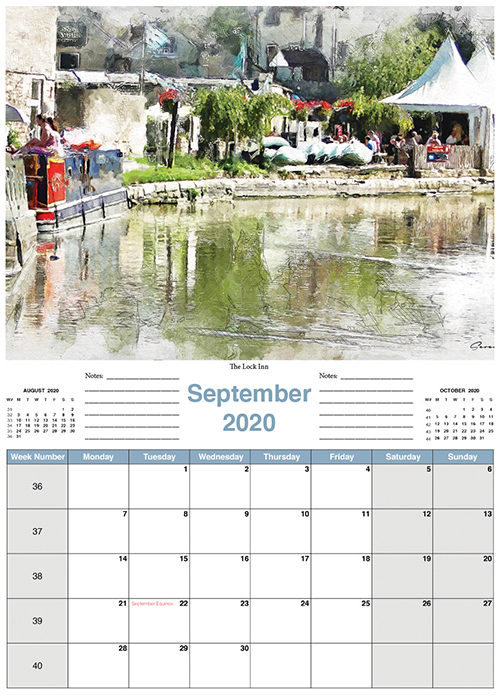 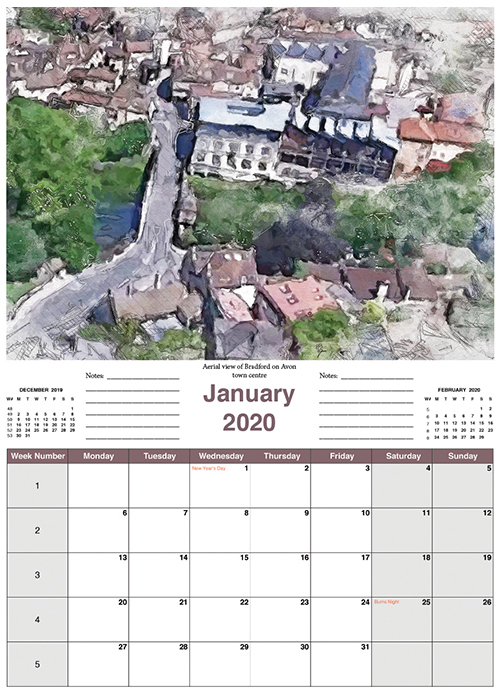 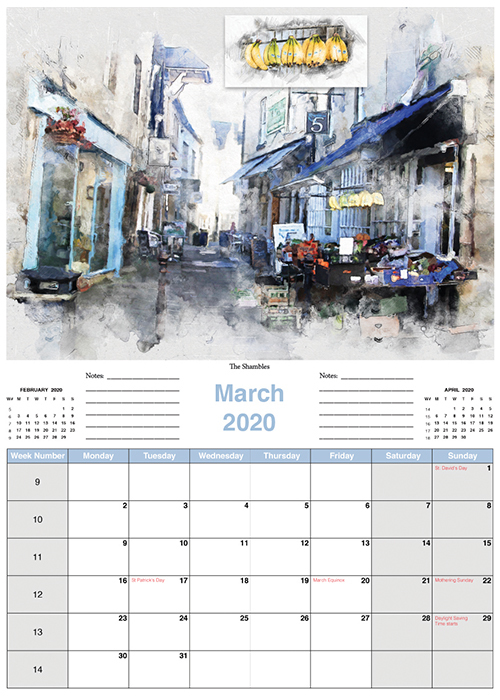 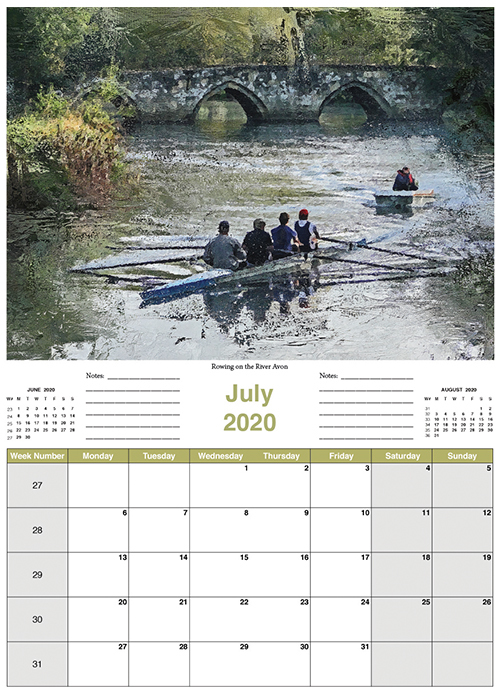 SerenArts Gallery 2019 calendar is now out and this year features images from Serena's new book - 'A Serene View of Bradford on Avon'. 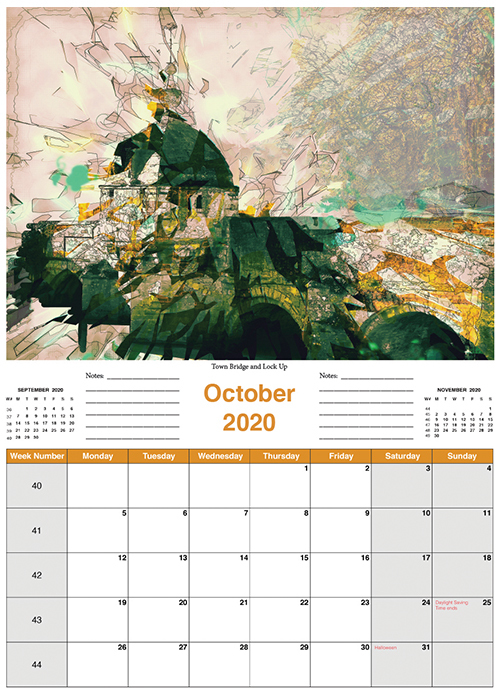 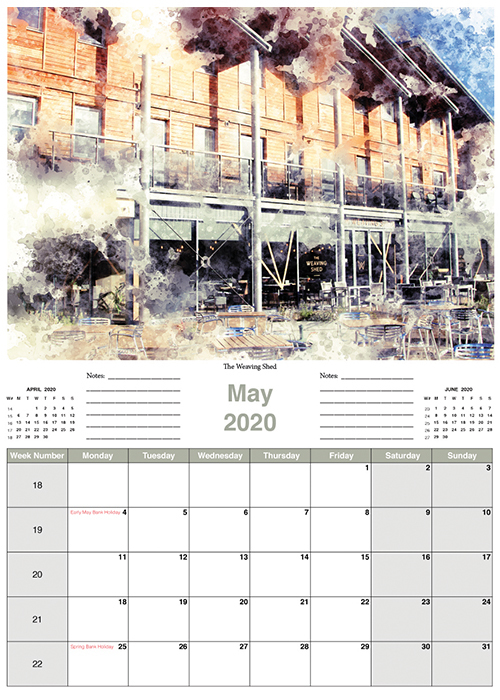 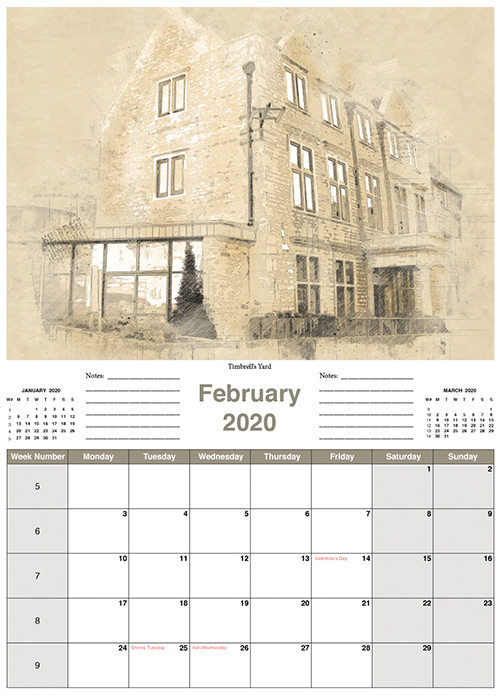 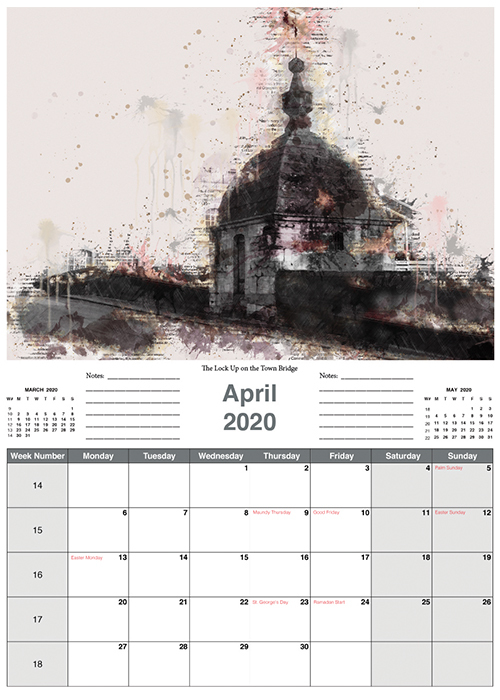 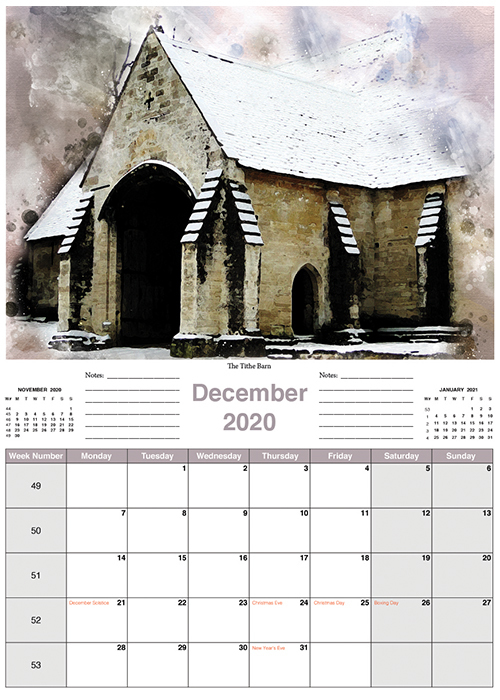 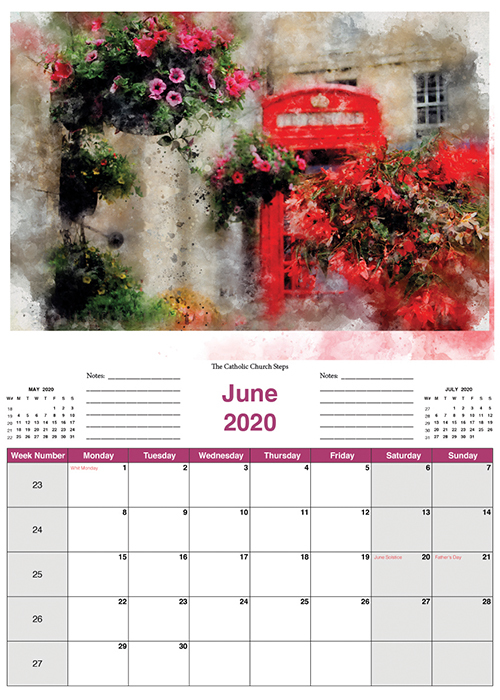 Printed by SerenArts, this beautiful calendar is available to purchase online. 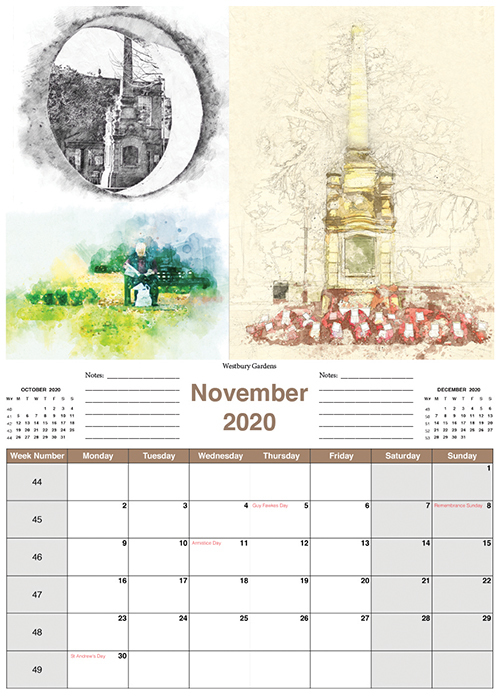 The calendar is a printed A4 over 14 pages (including cover and back sheet) on quality 200gsm paper, and ring bound ready to hang. 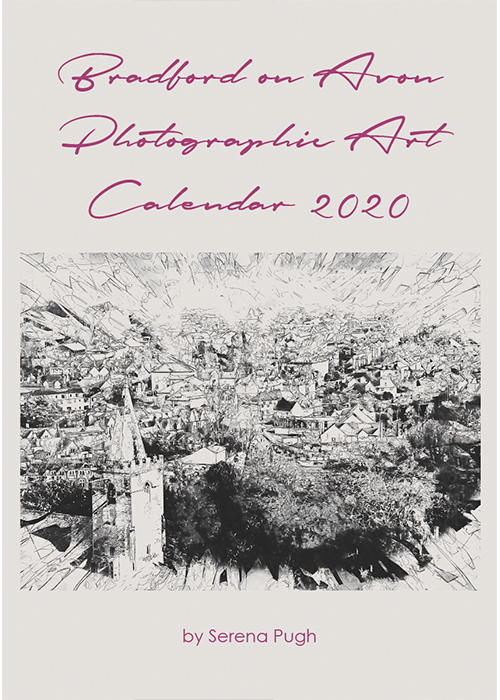 To get your copy simply use the payment button below.